A little more than five years ago, the city of Boston unveiled a statue on City Hall Plaza. 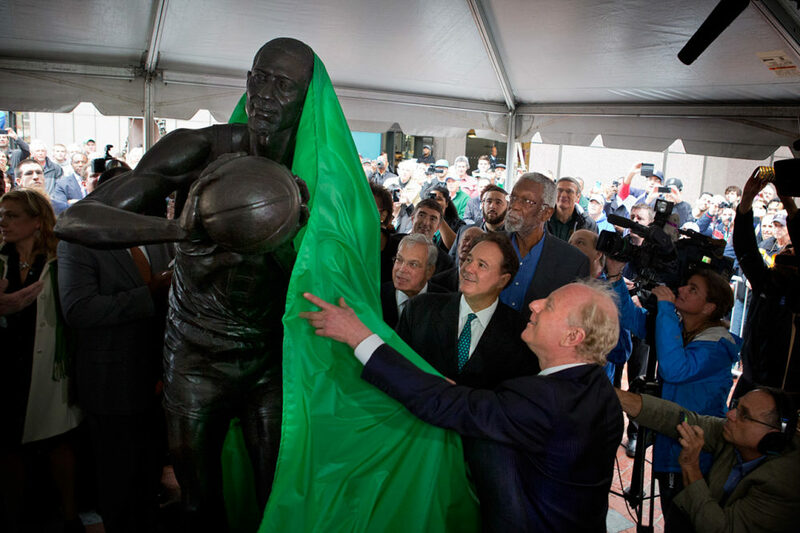 It shows Celtics’ great Bill Russell along with 10 granite plinths, each of which features a word or quotation which speak to Russell’s greatness and legacy. Not to diminish anything Brady has done — he has a strong case as the best professional football player of all time — but, I’m sorry, no one surpasses Russell. Not in Boston — or, for that matter, anywhere else. It’s really pretty easy. Why do Brady and everyone else play the games they play? They play to win. That may sound simplistic, but it’s true. The elite don’t play for personal awards or recognition. They play to win. Auerbach would concur. So would Bill Belichick. So, I suspect, would Brady. Which brings us back to the man that Stevens accurately called “the greatest.” Shaughnessy acknowledges that Russell was “the greatest winner in the history of American sports.” Last I checked, football was an American sport. And while Brady has done what no other NFL quarterback has done, he in no way approaches Russell as the consummate winner. I know. People will argue that Russell did it in a smaller league, which is true. 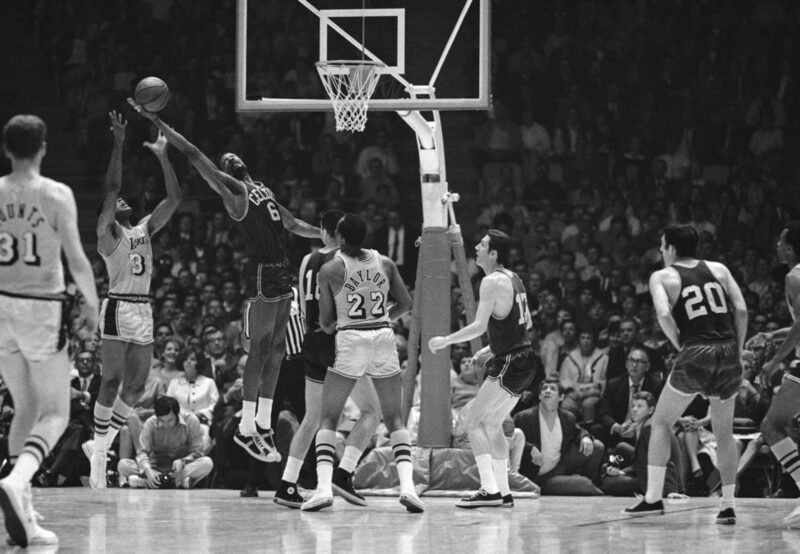 But he also regularly played against Wilt Chamberlain, Jerry West, Oscar Robertson and Elgin Baylor. It is not Russell’s fault that the NBA was much smaller then, or that the Celtics needed to win only a couple playoff series. How many playoff games do the Patriots need to win a Super Bowl? Russell’s consistency as a winner is astounding. No other team athlete — not Brady, not Michael Jordan — comes close. There are a number of statistics that speak to Russell’s dominance, but my favorite is 21-0. That’s the record of teams he anchored in what I like to call “Loser Goes Home” games. That would include series-deciding games in the NBA as well as his play in leading the University of San Francisco to two straight NCAA titles and Uncle Sam’s 1956 Olympic squad to gold in Melbourne. Of those 21 victories, 11 were NBA playoff games, 10 Game 7’s and one Game 5. But those are just singular events. Russell’s brilliance led the Celtics to eight consecutive NBA titles and 11 in 13 years. The last three years he did it as a player- coach, winning two championships with an aging, underdog team which did what no other NBA team had done — win a playoff series after trailing 3-1, with Games 5 and 7 on the road. Russell, like Orr, changed the way his sport was played. Russell focused on defense, rebounding, passing and shot-blocking, where he mastered the art of not only blocking the shot, but keeping the ball in play. Until Russell came along, those were seen as secondary assets to offense and scoring. He was a superb athlete, having been a high jumper in college. His combination of speed, athleticism and, above all, intelligence was unmatched. He didn’t neatly fit into any pre-conceived mold but he sure set one. He rarely came out of games. And yes, Auerbach deserves credit for recognizing this in Russell. Belichick gets the same for recognizing it in Brady as well. It’s the je ne sais quoi that the great ones possess. Orr had it. Russell had it. 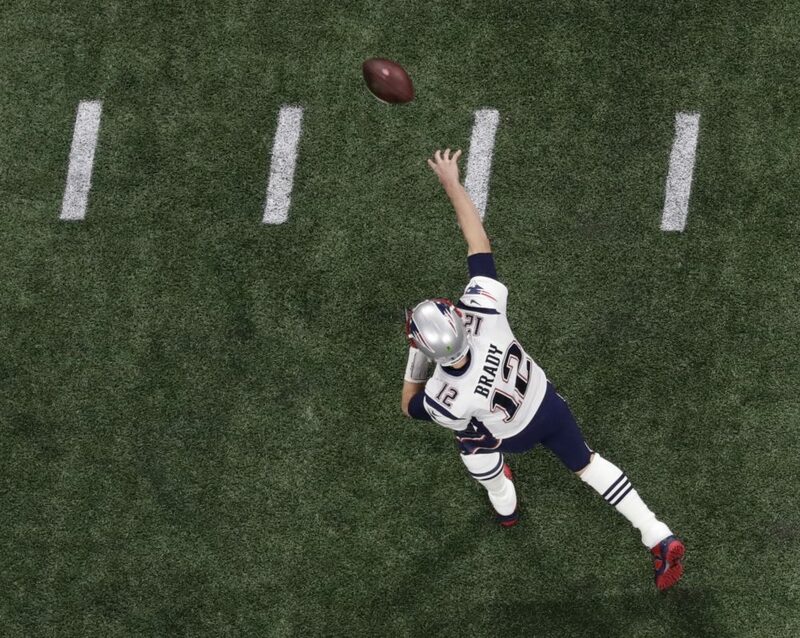 Brady has it. The coaches cultivated it. But no one accomplished what Russell did. He won and he changed the game he played. His record of success will likely go unmatched. Brady will get his statue. He deserves it. He will probably retire (at some point, we think) as the winningest quarterback in NFL history. But the greatest athlete in Boston professional sports history? Nope. It’s Russell. 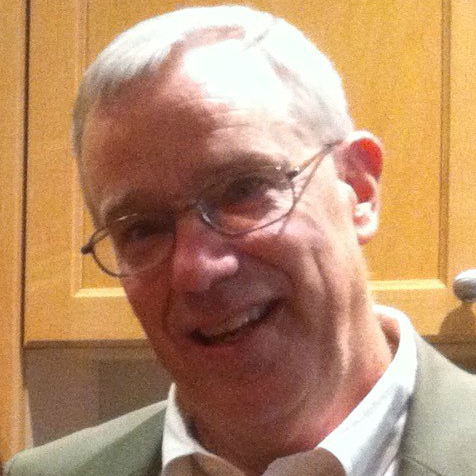 Peter May was a sports writer at the Boston Globe for nearly two decades. He now teaches journalism at Brandeis University and is an occasional contributor to the New York Times.